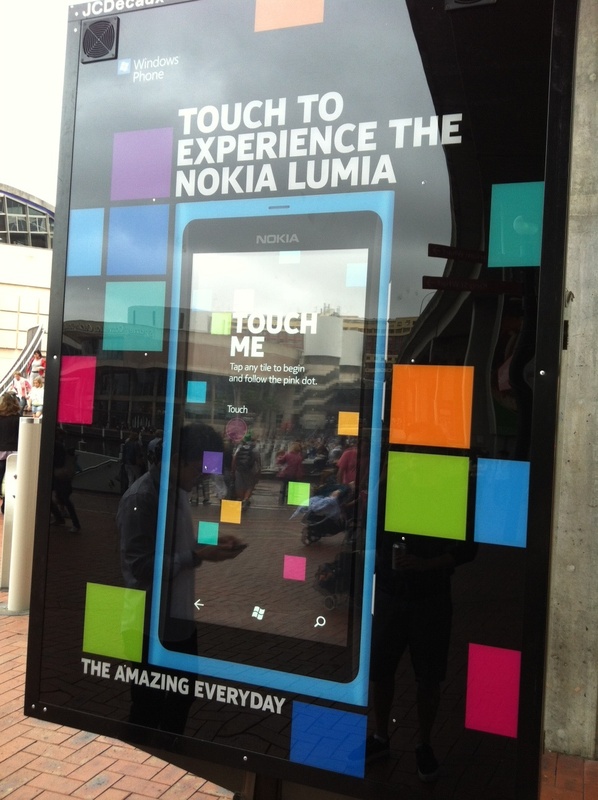 Last week we wrote about the campaign in Sydney promoting the new high tech smart phone from Nokia – the Lumia 800. We were lucky enough to see Timomatic as part of the production team helping show off some very neat features from this smartphone. What I am particularly impressed with is how social media integration has been built into the Operation System – where as all other smartphones don’t have this of integration and you going down traditional avenues of installing 3rd party social applications. Here is the video from last weeks event, showing people playing Angry Birds via a computer generated sensors / backscreen.